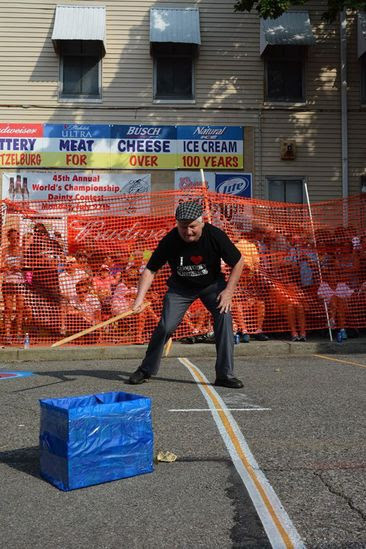 On July 27, 2015, the famous Dainty Contest was held at the corner of Goss Ave. and George Hauck Way. Many people turned out on such a hot day for this tradition including yours truly. It is events such as this that create a true community feeling among neighbors. Steve Magre taking a swing at the Dainty. Photo by Bret Sohl. 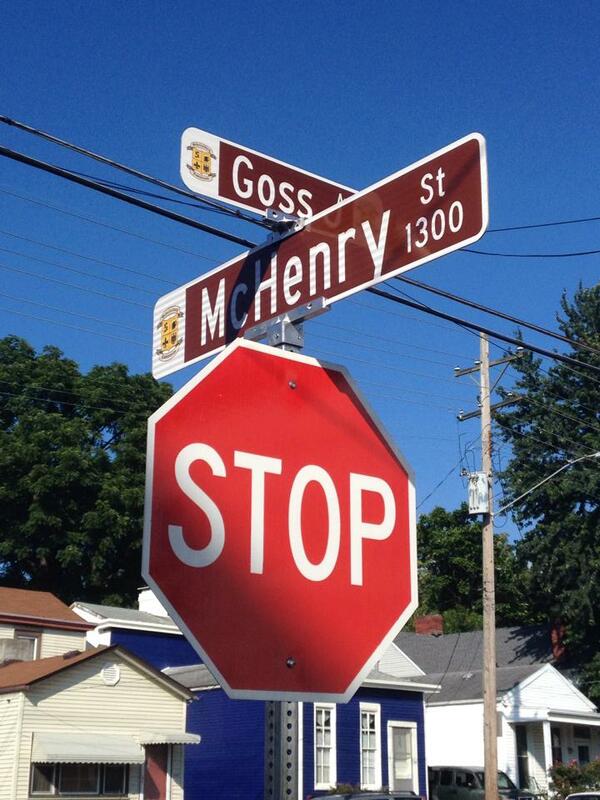 You may have noticed new street signs along the Goss Avenue corridor. They bear the neighborhood logos of Schnitzelburg and Germantown-Paristown - a first for the Metro area. By adding these unique signs to Goss Avenue we hope to bring attention to this growing area of our community. Be sure to look for the new decorative trash cans that will be installed in the next couple of weeks. I wanted to share with you my thoughts and position regarding the methodone clinic proposed for the Bardstown Road area. I support Councilman Ackerson's strong and aggressive position to fight this conditional use permit allowing this type of business in our area. As of now this item has been withdrawn; however, we must continue to stay on top of this matter should it arise again. I noticed in the article in the Courier Journal on August 8, the last paragraph cites that if this for profit out of state clinic does find a spot to open its doors it would be the FIRST such for profit business opening in Kentucky. Being first in this instance is a fact the South Carolina based company’s representative should have left unmentioned. There are good reasons why such a business model has not proliferated here and why an out of state owned, FOR-profit MAT business is not a right option, even in 2015. Louisville leaders have the responsibility to assure that treatment programs are available. We are fortunate to have one of the best treatment-rehab centers in the region. It operates on 15th Street. The location is purposefully isolated from shopping centers and residential areas. 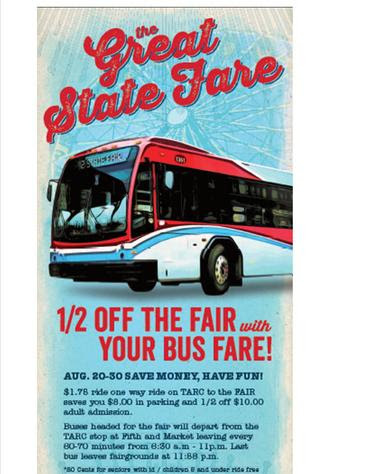 It is also on a convenient bus line and close to the many medical complexes that are just east of downtown. Even more important is the high quality of individual treatment that is being performed at this center. This NON profit operates under the name of MORE Center. The acronym stands for Methadone/Opiate Rehabilitation and Education. MORE Center is owned by Louisville Metro Public Health and Wellness. Governmental ownership assures elected officials have oversight. There is an ever changing need on stress of rightful rehab programs. Drugs of choice amongst users and those addicted continually change. I really believe protecting the assurance of best practices could be what is at stake here. Cutting cost to sell a hamburger at a fast food establishment is one thing. But to possibly have to watch a for-profit business choose to cut corners on treatment with no ability to respond is another. Legitimate questions I ask are these- Will patients in need of a more costly treatment plan be given a lesser plan in the name of company profits? Will administrators at this new establishment put higher marks on reporting happy news to their shareholders than anything else? Dr. Lorroco and Dr. Jorrisch have done an excellent job leading the MORE Center, and this agency has great support from the many social service agencies that serve our city. Finally, I enumerate my support for the argument against the location. Historically, individuals in need of treatment have rightfully placed a high premium on being able to do this anonymously. Over time, government has worked hard to support this concept for ALL health conditions that take place to ALL people. Indeed, Federal HIPPA regulations came into existence in support of this reasoning. So how having such a business opening in the midst of a retail shopping area, right next to a residential community, fits this sensitivity is beyond me. It shows that this company making the application lacks interest in projecting itself to Louisville leaders as a caring and sensitive agent of change. Is this the type of business the city wants to go out of its way to welcome? Neighborhways are low-volume streets that have been optimized for bicycle travel through the use of shared lane markings. Shared lane marking (SLMs) or "sharrows" are road marking used to indicate a shared lane environment for bicycles and automobiles. Among other benefits shared lane markings reinforce the legitimacy of bicycle traffic on the street and recommend proper bicycle positioning. • Thruston Dr. from Poplar Level Rd. to Delor Ave.
• Delor Ave from Hickory St. to Thruston Dr.
• Pindell Ave from Thruston Dr. to Hess Ln. This will not create a bike lane and restrict traffic or parking in the area. If you have any questions or concerns please contact my office at 574-1110. August is Amnesty Month for Overdue Pet Licenses! Jessica Montgomery, Director of Metro Animal Services has declared August as Amnesty Month for Overdue Pet Licenses! Don't wait! Save in August and get your dog or cat’s license renewed! Remember, it is the law. A retail malt beverage by the package license application has been made by Namaste Grocery for 3825 Bardstown Rd., 40218. If you object to the issuance of this license, you may protest in writing to the Department of Alcoholic Beverage Control, 1003 Twilight Trail, Frankfort, KY, 40601-8400. This must be done by September 7, 2015. District 10 consists of the neighborhoods of Schnitzelburg, Germantown, Buechel, Camp Zachary Taylor, Belmar, Kensington, Oak Hill and Bashford Manor along with the suburban cities of Parkway Village, Audubon Park, Watterson Park and West Buechel make up the district which is also the home of the Louisville Zoo, Joe Creason Park, the Louisville Tennis Center and the Louisville Nature Center.